Alpaca St. - Forum - Industry Discussion - Is it time to change the focus from Shows?? I just had an interesting email exchange from a farm I have seen advertised but do not know personally. Basically he is 6 years in the biz, has plenty of ribbons but no sales and the recent crash in prices has left him broke. I'm sure he is not the only one. One disheartening thing he did say is he has bags and bags of fleece.....Is that not what alpacas are raised for?? I realize I may be in the minority. I use 95% of the fleece from my animals to be made into products that I sell during open farms, farmers markets and craft shows. I joined NAAFP and send them 2/3rd's of my fleece to get products from them, send 1/3 to a mill for yarn, the leg and belly fiber is made into rugs and what is left over I sell to fly fisherman. No one told me about ANY of it when I got into this industry. I found out from other farmers who quickly realized, like myself, that the show ring is heavily stacked against the small guy and AOBA does not care. I too have yet to sell an animal. I have tried to auction off a couple here, but when you cannot even get an opening bid of $500 on a TB Full Peruvian male or $2000 for a rose gray Snowmass female, what am I left to think ? I tell prospective buyers if they are looking for the days of 20, 30, even 40K an animal sale to not waste their time, even if they have more money than sense. It's over. The ones who are most interested in my animals now are ones, like me, who see the income derived form the products themselves. That is what we as an industry need to do to survive, or as the gentleman I was emailing said, we will have fleece covered Ostriches. I will not renew with AOBA. I do not register all of my Males with ARI either unless I use them to stud. I will if a buyer requests. I do not see the need for it. It perpetuates the Show Ring myth. What we do need is a split from AOBA for those like me who could care less about the show ring and want to focus on growing the product side. That has REAL growth potential. Is there anyone else out there who also thinks this way?? Any one else with me on this?? I replied to your post under a different topic. We as an industry need to get it together. We attend one show a year, but wont be doing that much longer. We are a small farm. We raise Suris. We also spoke to a farm that has quit showing all together to focus on the fiber end of the industry they are working on becoming certified fiber sorters. 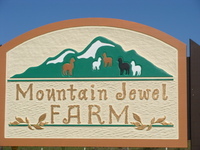 In talking to them we have realized that shows are NOT the place for fiber prducing alpacas. I cant walk into a show ring with my animals, nice, fine, dense, suri fiber with straight locks and compete with those who have animals with skin tight penciled locks of fiber. Judges only recognize one type of lock structure in the show ring. We take our animals home and shear them, we have garment quality fiber, the farms with the skin tight penciled locks brought home the blue ribbon but have rug fiber. I feel we need to have a different show structure, one for fiber!!! Show your males ,females, of all ages and geldings too! Jugdge on fiber quality on the animal. Weneed to come together on this or we will find our industry in great trouble. I just stumbled on this post, I haven't been following this forum and noticed that despite the frequency with which I've heard similar complaints there have been only 2 contributors in ver 2 years. It's an open page and if you feel that you want to contribute to the discussion or heard what others are saying, come visit us at Alpagraculture. I agree with your comments and am also interested in expanding our fleece market and sales. Please tell me how to get to the site on facebook you mention "Alpagraculture" I tried a few times unsuccessfully. I so agree with all of you on this. Unfortunately I don't like or use facebook so can't follow this. However, I'm about the same place. I have sold animals but each year it is harder and for less money. non conformity within the judging and a lot of selfish attitude. My pacas agree with me too. I am a new alpaca owner and I found your discussion very interesting. 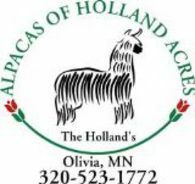 I bought alpacas because I am fascinated with the fiber part of the industry and I have no desire to show my animals. I do not have the right setup for a farm store, but I'd like to try craft shows, farmers markets, etc. once I have the products. Can anyone give me some advice? What products sell the best? I have experimented a little with felting and I love to crochet.